Publisher's Note: Products purchased from Third Party sellers are not guaranteed by the publisher for quality, authenticity, or access to any online entitlements included with the product. 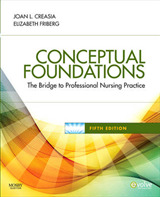 The Cornerstone Text on Transcultural Nursing Concepts - Updated with the Latest Advances and Breakthroughs Leininger's Transcultural Nursing: Concepts, Theories, Research & Practices, Fourth Edition offers theoretical and practical guidance about the provision of client-focused care by integrating cultural values, beliefs, and lifeways into an individualized plan of care. 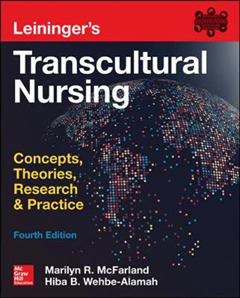 This acclaimed resource presents a global comparative perspective about Western and non-Western cultures and examines the potential future directions for transcultural nursing with insights into rural and urban cultures in the United States including the culture of homeless mothers and children. 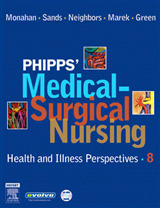 The book covers important topics such as transcultural nursing, research, and healthcare in Kenya, Southeast Asia, Haiti, Syria, and Taiwan, as well as translational research, globalization, conflict resolution, mental health considerations, Ayurvedic medicine, genetics and genomics in healthcare, integration of care and caring, and an overview of transcultural history, concepts, and principles. 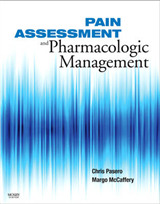 Reflecting the work of experts and scholars in the discipline, the Fourth Edition includes twenty-five new chapters. 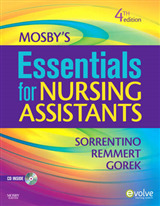 There are also major updates to the Theory of Culture Care Diversity and Universality, Ethnonursing Research Method, Sunrise Enabler, and other enablers. 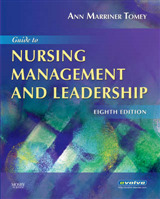 SPECIAL FOR FACULTY: Chapter PowerPoints available online at MHProfessional.com, including learning objectives, figures, and chapter summaries to support classroom use.